Amadon, D. "Cracticidae." In Check-List of Birds of the World. Vol. 15. Cambridge, Mass. : Museum of Comparative Zoology, 1962. Coates, B.J. 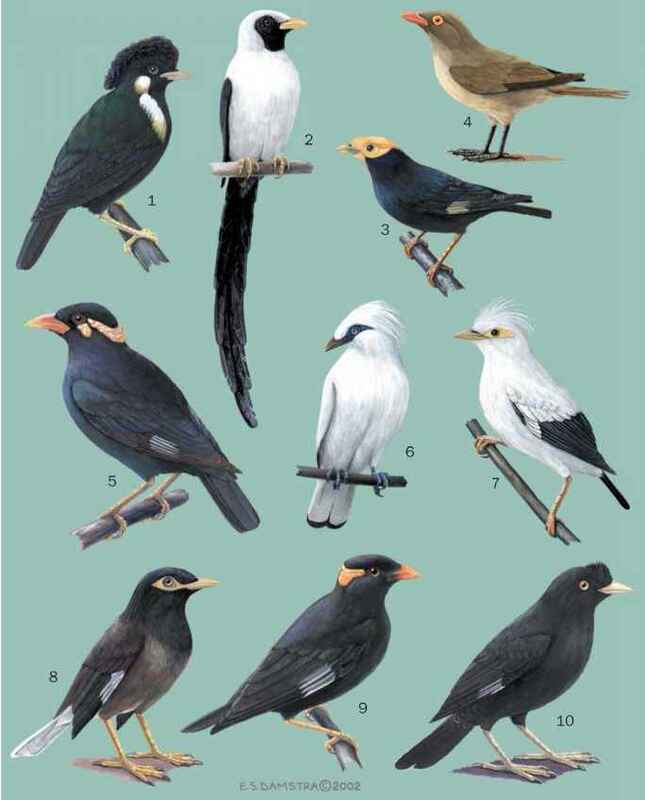 The Birds of Papua New Guinea. Vol. 2. Alderley, Qld: Dove Publications, 1990. Schodde, R., and S.C. Tidemann, consultant eds. Reader's Digest Complete Book of Australian Birds. 2nd edition. Sydney: Reader's Digest Services, 1986. Schodde, R., and I.J. Mason. The Directory of Australian Birds, Passerines. Melbourne: CSIRO Publishing, 1999. Sibley, C.G., and J.E. Ahlquist. Phylogeny and Classification of Birds. New Haven: Yale University Press, 1990. Sibley, C.G., and B.L. Monroe Jr. Distribution and Taxonomy of Birds of the World. New Haven: Yale University Press, 1990. Smythies, B.E. The Birds of Borneo. 3rd edition. Kota Kinabalu and Kuala Lumpur: The Sabah Society and the Sabah Nature Society, 1981. Amadon, D. "Taxonomic Notes on the Australian Butcherbirds (Family Cracicidae)." American Museum Novitates 1504 (1951): 1-33. Sibley, C.G. and J.E. Ahlquist. "The Relationships of the Papuan Genus Peltops." Emu 84 (1984): 181-183. UNEP World Conservation Monitoring Center. Threatened Animals of the World. <http://www.unep-wcmc.org/species/ animals/animal redlist.html> (January 2002).